A job interview is an important phase in your career. The way you perform in a job interview decides the fate of your career. It is thus vital that you prepare well before the job interview. Many people prepare well in advance for the job interview and yet end up getting stressed during the job interview. Stress is often the cause of people failing poorly in job interviews. Similarly, if you do not present yourself well during the job interview, even the best answers will fail to impress the interviewer. It means that preparation of the subject alone does not help you during a job interview. You may have spent a sleepless night preparing for the interview but make sure the fatigue and tiredness is not visible on your face. The best thing to do is freshen up before you leave for the interview. Wash your face and do your hair before you head out. Use a deodorant if you have body odour problems. Carry a napkin with you. Wear an outfit that suits you well. It should be a formal outfit that is ideal for interview rounds. You may use a mouth freshener to get rid of odour from your mouth. Stress is a major hurdle that prevents people from performing their best at interviews. It is thus vital that you stay stressfree when you leave for the job interview. There are many ways to get de-stressed and you may choose any of these to feel relaxed and get rid of anxiety before the job interview. Pranayama is a breathing exercise that helps to destress the body and rejuvenate the mind. Even five or ten minutes of Pranayama can have a great impact on your body and mind. It is a great idea to do Pranayama for sometime before you head for a job interview. If you enjoy reading, you may also de-stress your mind by reading something interesting and informative. Books are known to divert your attention to different interesting subjects. This automatically helps to reduce your anxiety and stress just before a job interview. You may even carry a book of jokes along with you that you may read on your way. Speaking to people around you on different irrelevant subjects also helps to reduce stress. You must, however, avoid discussions regarding the job interview just prior to the interview. Such discussions may eventually add to the existing stress and act as a hurdle during your interview. Exercise is always known to be a means of increasing the positive energy in you. It is thus wise to exercise or play an hour before the interview. It will help to divert your mind from the job interview. It will also help you feel happy and energetic. You must avoid exercises that tire you as you need to stay fresh during the job interview. The food lovers around the world find eating the best way to destress their mind. You can also try this if you like to eat good food. Take a quick bite an hour before the interview. It will not just cheer you up but also prevent you from feeling hungry too soon. This can be helpful in case of day long interviews. Body language is one of the key factors that create a first impression on the interviewer. It is thus wise to work on your body language before you head for the job interview. Decide what pose you will maintain during the interview. Ask your friends and near and dear ones whether your body language is proper. Seek their suggestions and make alterations. A great introduction can mean the start of a good interview round. So make sure you prepare an introduction beforehand. Sometimes, the interviewers may not ask cliché questions like ‘Please introduce yourself?’. Yet, if you prepare an introduction in advance, you can pitch in whenever you get the right opportunity. A good introduction means a few lines that includes description regarding your skills, achievements and other aspects that may be relevant to your career. On the day of the interview, you need to make sure you have all the documents you require in a proper file or folder. Even if you have filed it a day before, it is a great idea to check and make sure everything you require is there. In the modern times, you may avoid carrying the hard copy of important documents. Instead you can carry the soft copy of the same. This can help you avoid the risk of losing significant documents. You cannot afford to get late for your job interview. It is best to go well prepared to face any eventuality. The best thing to do is carry some extra cash. It will help you have money for alternate travel plans when trains are cancelled or public transport is delayed. Extra money is always helpful. You must carry some cash with you because there are times when ATM machines do not work due to network issues. At such situations, cash proves handy. Mobile phone is often the only means of communication, especially when you are travelling. Even the interviewers can contact you only on your phone. So, make sure it is fully charged. You may also carry a power bank with you to keep your phone charged. You must also check the balance in the phone beforehand. If there is a need to contact and inform the company about delay in reaching, you need to have balance in the phone for the same. You maybe tempted to have junk food from roadside when you are hungry. Yet, if you are heading for a job interview, it is best to avoid this. Junk food can cause digestive problems. Any such health problem may affect your efficiency in the job interview. If you are ill or distracted during the job interview, you may just lose a golden opportunity. There could be people around you who enjoy arguing on trivial topics. Avoid such arguments when you are about to head for a job interview. Arguments can easily divert people’s attention. 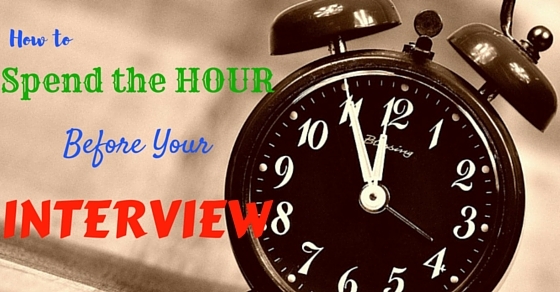 You may get late for the interview if you waste your time a arguing. Most arguments affect the participants emotionally. If you lose in the argument, you may feel low and this may impact your performance during the interview. You may have parents or siblings who never understand your true capabilities. They will always have demotivating words to get you off the right track. Simply do not pay any attention to such people. Do not get carried away by their words. You must understand your true potential. And what others say should never impact your self image. When you know where you stand, the words of people around you will never affect you. So keep calm and do not listen to negative comments. If the monsoons are on, do not give in to the temptation of getting wet in the rain. Use a raincoat or umbrella to protect your formal outfit from the rains. You may even carry an extra pair of clothes while heading for a job interview. During monsoons, the streets are dirty and this can ruin your formal attire. An extra pair of clothes will help you go well dressed to the job interview. Candidates often get excessively stressed during their first job interview. This is because they are facing such a situation for the first time in their life. Proper preparation and good deal of confidence can help candidates face the interview and clear the toughest rounds easily.